First of all, I am so blessed that so many of you have sent me prayers for my families and friends in Japan since last Friday, the magnitude 8.9 earthquake struck Tohoku area, the northeast part of main land. The hardest part of living far away from my entire family for me has been to deal with the fear about possible natural disaster like this earthquake that resulted in thousands of people's death. Most of my family and relatives live in a prefecture called Gunma which is located in in the middle of the main land where the effect from the earthquake was minimum, although my dad said it was the most massive earthquake he's ever experienced in his entire life. They are all safe though. Just a few things fell from the wall, that's all. Most of my friends live in the same prefecture, Gunma, and Tokyo, so I am just blessed that they are safe for now. I do have a couple of friends in the area that was heavily affected by the earthquake. Thank goodness for the Internet. I found that they are safe on their friends' comments on their Facebook pages. I'm just keeping my fingers tightly crossed that they have a safe place to stay and have enough food to eat and they will be recovered from the disaster very soon. I have a friend whose relative's house was wiped away (people are safe). Another friend of mine has relatives missing in Fukushima. I'm in pain thinking of people in Tohoku area, possible nuclear meltdown, and possible second powerful quake that could hit Tokyo. Please pray for everyone in Japan that aftermaths effect from the earthquake will be very minimum. If you have family and friends in the area that you have not been able to confirm safety of, you can use this Google Person Finder. If you don't know their names in Japanese characters, please feel free to contact me. I will do my best to guess the characters in case that might help you find them effectively. 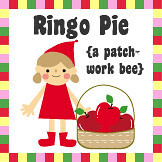 I'd like to do something to raise money to help victims for the Japan earthquake victims. Here is a link to several organizations where you can donate directly using paypal. 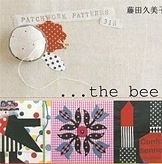 For those of you who have donated for the victims in any way, please leave a comment (a single comment per person please) to win a copy of Suzuko Koseki's new book Natural Patchwork that will be released next month or the Spring/summer issue of Stitch magazine that will also be available next month. 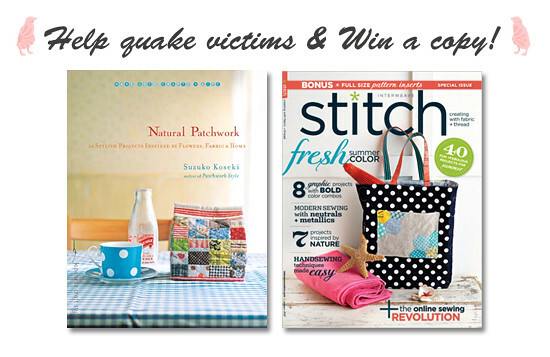 I'll announce two winners of Natural Patchwork and one winner of Stitch Magazine on Next Monday, March 21st. Thank you again for your prayers. I am so blessed. So happy to hear that your family is safe. I have been researching the best way to make a donation -thanks for sharing the links. I'm so glad to hear you and your family are safe. I've been thinking about you and if you were all right. I already donated to the Red Cross, feels helpless that this is all I can do. But every little bit helps I hope. Stay safe! I'm glad to hear your family and friends are safe. However I feel very sad for all thousand of people who have lost their lives under those terrible circunstances. It's just terrible. I hope everything calms down soon and your people could get over it and try to make their lives again. I send you all my sympathy for you and yours. Lots of love. I am glad your family is safe! I was really really worried about your family when i heard the news. Please do NOT put my name in the drawing. I will donate just for donating to relief efforts. I thought of you right after the quake - I don't comment often, but I love your blog and read all your posts. I have donated to the Red Cross relief. Will keep your family and friends in my thoughts over the coming weeks! You have no idea how relieved I am to hear that your family and friends are okay. All of Japan has been so much in my thoughts these past several days and there are just no words. Thank you for sharing your donation links. No need for an entry in the drawing. I just want to help. I thought of you and your family and friends when i heard about the disaster. I donate to Doctors without Borders on saturday. Hugs. Honey, I'm brasilian and thought of you this weekend, I feel immense relief to know that your family are safe. Do not include me in the drawing, just leave here my prayers for all our Japanese friends. I donated to the Red Cross through your Paypal link - that organization is always there in emergencies like this. Thank you for this post about giving, Ayumi. What great news that your family and most of your friends are safe! I could not stop thinking of you when I heard the news, or saw some of the video. Is very comforting to know your family and friends are ok. I was very worried and checked your blog daily to have news from you. Images on tv news are terrible is difficult to don't broke in tears while watching. I feel terribly sorry because I don't know how to help. I am very glad that your family is safe. I am so very sad for the people of Japan. I pray the nuclear plants will be controlled and no further harm will come to the Japanese people! We made a significant donation to Japan relief through a wonderful non-profit called Direct Relief International. Wish there was more we could do to help! I've been thinking of you all weekend, as you are the only Japanese person I correspond with. Like everywhere we are getting news coverage and footage of the devastation. I have made a donation to the Red Cross. It seems so small when so many people have lost loved ones, and all their material things. I too thought of your family! so good your family is safe. I donated to save the children through paypal. I know every little bit helps. Prayers to Japan! My heart goes out. I'm so glad you posted, Ayumi! I though about you and your family and was hoping they were all OK. I work for Red Cross, so of course I texted to donate, but the last few days have been very busy filing family searches, and even moreso than money I'm so glad to see stories starting to come out of the work being done and families being reunited. I'm so happy to hear that your loved ones are OK, and I hope that your friends find their families safe and well! Thank you for the links Ayumi my heart is breaking for the Japanese people. Chrisb. Happy your family is safe. So sad for the many who are suffering. I've donated through my church, who have been there helping and taking supplies. In Canada, Rogers and Fido wireless customers can text ASIA to 30333 to donate $5 to earthquake relief efforts. All of the money raised will go to the Canadian Red Cross Japan Earthquake/Asia-Pacific Tsunami fund. There is similar scheme in the US through Verizon. Such a small thing, but big things can happen if lots of people do small things. Prayers for hope and healing help too. I am so happy to hear your family is safe. I have been unable to think of anything else since this terrible disaster. I pray for all those who are suffering. Thank you for the links - I was happy to see specifically Japan Earthquake and Tsunami Relief Fund, so I know the money I've donated will go specifically for this cause. I am so glad to hear all is well with your family. It is amazing how so many of us are linked to Japan through friends and family. Thank you for the links. Prayers and thoughts continue for you and your family. Thank you Ayumi for your update - I kept checking your blog to see what your family might have experienced. And I was able to find out about family friends with your Google link. My prayers and thoughts are with the Japanese people at the moment. I am glad your family is well. It is very painful, to watch those images, of the suffering, of the destruction, but I am sure we can all help. I am so, so very thankful that your family and friends in Japan are safe in the wake of this horrific event. I want you to know that I have made a donation to the Red Cross using your link and sincerely hope that the contributions provide aid to those suffering right now. My heart goes out to them all. its such a heartbreaking to see the news about he tsunami/earthquake. my deepest condolence to everyone affected by this event. let us all cherish more the life we have right now. So glad to hear your family is safe. Thanks for the link on your site. I just donated through your link and you made it so easy. Japanese people.Thank you for this post about giving. I donated through your link . Thank you for this post. I am so reliefed that your family and friends are safe. I heard a guy from save childern on television yesterday, so I decided to donate them trough your link. I'm so happy to hear that your family and friends are fine. Thanks for the link for donation !! It has been the most awful thing to see, the Tsunami effects particularly, I am glad you family are OK. I already donated,red cross, there is not much else we can do from so far away. I've been thinking of you in these past days. I'm glad to hear your family and friends are safe. It must be really difficult, in any way, seeing the situation, knowing people in Japan. It already is for someone like me who doesn't know anybody there. Thank you for the links, I've been wanting to donate something. I donated to Hands On Tokyo and hope the contribution will help a little bit. I´m so glad to hear that your family is safe! Thanks for the link, I just donated to global giving. I´m sending out my prayers for the people in japan. I thought you a lot in this day! I'm happy to know your family is safe! I am following the news on NHk.org. The Japanese's strong people and in these hours they're give a great lesson to the whole world. My thoughts are with you all and also my help: I ​​am a supporter of Save the Children and I already made my donation! I am glad your family is safe. My son lives in Saitama and my daughter was visiting him when the earthquake came. They were visiting in Tokyo when it hit. They are both safe and my daughter is back home in the States now. I worry about radiation and my son being somewhat close. I am following this very closely and checking with my son often. I am so glad for facebook, skype, text messaging and twitter for that has allowed me to stay in close touch with my son. I'm so happy that your loved ones are fine. Safe. I hope the others will be found or heard of soon for everyone's sake. My son had been planning a summer trip to Tokyo this coming summer and realizes that ain't happenin'! Both kids are so devastated and want to do something for the country so we are organizing a bake sale from the Middle School and the High School. My daughter is 14 and my son is 12! He successfully organized and executed a bake sale and raised 50 OR or about 150 US dollars for the Save the Tigers Fund through the WWF. Bless him. Of course, I baked most of what we took. We will do it again and I think if the school doesn't handle the monies; then I will give it to the Japanese Embassy here in Muscat. This is such a small thing but a huge thing for my kids to have the compassion and helping attitude to help others. All the best! It's the first time I leave a comment in your blog, althought I read it some time ago. I'm so happy that your family and friends are ok.
We donate to Spanish Red Cross. So much sadness, I'm glad to hear that your family and friends are safe. My family donated through my husband's company - they are offering to match employee donations. Ayrumi, so glad to hear that your family is well. I will definitely donate somewhere, probably to the Red Cross. Thanks for the giveaway. What a wonderful way to help and encourage others to help as well. Every day there seem to be more tragic stories and videos of this terrible disaster. So sad. We have donated to the American Red Cross as we know what good work they do around the world to help people in these situations. Thank you for this very generous giveaway! The Paypal links are great for donations! I set up a page that also has a list of NGOs which are active right now. Among them is a way to donate directly to the Japanese Red Cross (as opposed to the American Red Cross or others) which has a really large presence in the Tohoku area. Otherwise it's quite hard to remit money to Japan because the official website doesn't have an easy donate button. Thank you so much for posting this. It is such an awful time and I was so glad to hear that your friends and family are safe. I have made a donation to SavetheChildren fund through that link, thanks for that too. So many have lost so much. 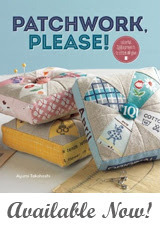 If you read any news stories in Japanese about the craft/quilt people out in Japan I'd be grateful to hear about them. I have no real idea about the geography in Japan or where the textile industries like Lecien are based or the companies that publish the books we all love so much. Or such creative people that create them and the magazines. i'm so glad to hear that your friends and family are safe. as we've watched the news the past few days, the destruction we've seen is just so overwhelming. thank you for the links to reputable NGOs - i was able to quickly and easily make a donation to an organization that i knew was trustworthy. Hi, Ayumi, thank you for this post and glad to hear your family and friends are safe. I just donated through your link, I don't think it will be the last time. I'm very sad for the people of Japan, keeping them in our prayers. SO glad your loves ones are safe - we have family in hawaii, and know a little about waiting by the phone/computer for news. we've given thru our church fund, and i'll be donating to the "love for japan" etsy shop. I am so happy to know that your family and loved ones are safe. Thank you for the links for donations. Thanks to you I have sent a donation directly to Japan. You and your loved ones are in my thoughts and prayers for their safety and well being. I'm so very happy your family is safe. I am still trying to get in touch with my family there. Hopefully the phone lines will be back in service soon! Holaaa!!!! !1 No sabes, he estado pensando en ti en estos días, ya que no conozco a nadie de Japón salvo tú. Me alegra el corazón saber que está bien toda tu familia, seguiremos orando por todo tu pueblo, te mando un abrazo muy fuerte!!!! So glad to hear your family are well, here's praying that your friends people will be safe. Thank you for the links, I also was not sure who to donate to or how, so thanks for that. Please do not include me in the draw, no need. My husband is from Wellington, New Zealand and we have been following the Christchurch situ and had been talking about the generosity of other countries such as Japan in sending their rescue teams to NZ. I am broken hearted for those people who gave so much and then had to pack up and fly home to start over again in a worse situation in their own country. Sometimes life seems so very very unfair. Continuing to think of and pray for your country. I'm glad your immediate family is all safe - it is certainly not fun being so far from friends and family when something like this happens. My prayers are that they all remain safe. I've made a donation, and hope to contribute through other means as well. Very glad to hear that your family is safe and our thoughts are with those who have been affected. I have made a donation through the link provided. my prayers are with you and your family here and in Japan. I don't have the money but I do have a big stash of fabric that I think I could make some quilts that are needed especially for the children. I will look for a link where I could send it if there is a place collecting. My prayers and love to you. I made a donation to Global Living and will keep Japan in my thoughts and prayers! Thank God your family & friends are safe but our deepest condolences to those who are suffering. May God grant mercy, strength and peace to everyone affected by the earthquake and tsunami. We are all praying. Thank-you for the links. I am still unable to find information about former students of mine. I am so saddened by the events in Japan. My heart is aching for the people affected by the earthquake and aftermath. We're very thankful to hear your family and friends are okay, and are praying for the people in Japan. Thanks for the link, it made donating to the right place very simple- I donated to Japan Earthquake and Tsunami Relief Fund - a GlobalGiving Project. I've donated but I've already pre-ordered the book and Stitch so someone else can take my turn. I'm just happy that your loved ones are safe. Japan and its people will continue to be in my thoughts and prayers. I've actually been to Gunma, several years ago while I traveled Japan. I hope all of your loved ones and friends are safe. My mother in law's family is from the affected area but so far we haven't had any word. We were told they lived more toward the mountains so I am hoping no news is good news. Except that I'm sure all of Japan is struggling with the loss of power and everyday luxuries like running water. and of course about your family&friends..
how many us could have an expectancy?How should i think of the one? Just i feel like crying to see that news on TV or newspaper..
Ayumi, thank you for the person finder link. I have a dear friend/neighbor who is from Sendai - her family is missing. We tried to find them on the link, but no luck - please pray for them! I feel so helpless, but she's not giving up hope! I pray that she hears from them soon! Thanks again, Ayumi! You are a wonderful inspiration and I appreciate you. I express my solidarity. We are impressed with the disaster suffered by the Japanese people. Japan is a wonderful and sure to be able to overcome this earthquake. May the nucellar disaster can be successfully controlled. From Spain, a big hug. Thank you for posting links to make it easier for people to donate. My little boy's best friend is from Japan, and when my son saw that I was donating money asked if he could donate money his piggy bank money too to Save The Children, which we did. I am glad your family and friends are safe. A donation in your name has been sent to RED CRoss. bless your friends and family. oh p.s and I do not want to win anything! Than you for the update in Gunma. My whole family lives there and I was so worried the first couple of days because we could not get in touch with them! They are ok, just some roof damage. Yokatta! I hope things get better for all of Japan. Thank you for also supporting the relief efforts! I have donated to the Japanese victims via Danish Red Cross. My heart goes out to all those people around the world who are affected by this catastrophe. I am happy to hear that your family and friends are safe Ayumi. Let's all hope that Japan will get all the help they need. Please also remember all the people in the middle east still fighting for democracy. Hola Ayumi, soy feliz por ti y tu familia. He donado a traves de Cruz Roja España. Un abrazo fuerte y mucho ánimo a todas las personas afectadas por esta tragedia. Glad your family is safe! I donated. I am glad your family is safe, my prayers is with all the people in Japan. I have donated, and purchased stuff from shops on etsy that are doing proceeds, so glad your family is safe. I have donated to the Canadian Red Cross Japan relief fund. I am very glad that you and your family are alright. I donated to the red cross, im so glad you are safe! I just donated to the American Red Cross' Japan Relief Fund. What a great way to raise money for this cause. Thanks! I am so glad that your family is safe, thank you for posting the person finder, I hope many people will be able to find their loved ones as soon as possible. I am happy for your family. Praying for Japan. I gave to Global Giving & Save the Children. Thanks for providing links on your blog. I kept saying I'll donate, but it was through your links that I actually did. Having the Paypal option right there was real convenient too. Praying for only good things for the people of Japan & worldwide. My thoughts and prayers are with you, your family and friends, and all the people in Japan. I have made a donation to the Red Cross to assist their relief efforts there. This is just such a horrific tragedy for Japan. I'm praying constantly for the country, the people there and family and friends of those involved. I feel so helpless, but I have donated to Save the Children-Japan. Doesn't seem like much when seeing all the devastation over there, but if we all band together, it makes a difference. I am from Poland. I am glad your family in safe! I have made a donation to the Red Cross.. on my blog ist giveaway to support donation for the Japan earthquake victims, too. You are in our prayers! It's painful to see so much sufferring in Japan. We hope Japan and her people will recover soon. I just found your blog through Nana and Company. I am glad to hear that your family is safe. I cannot even imagine what your friends and family have gone through. I have donated to two charities: Red Cross and Shelterbox. I will continue to send my very best thoughts and prayers for your country. I have donated to red cross. Also, our favorite Japanese restaurant around here is doing a fundraiser tomorrow night, so we'll be donating there too. Thanks for this! My work did a fundraiser last week and we donated the money to the Red Cross- isn't great how everyone can come together for each other? It's a small world!